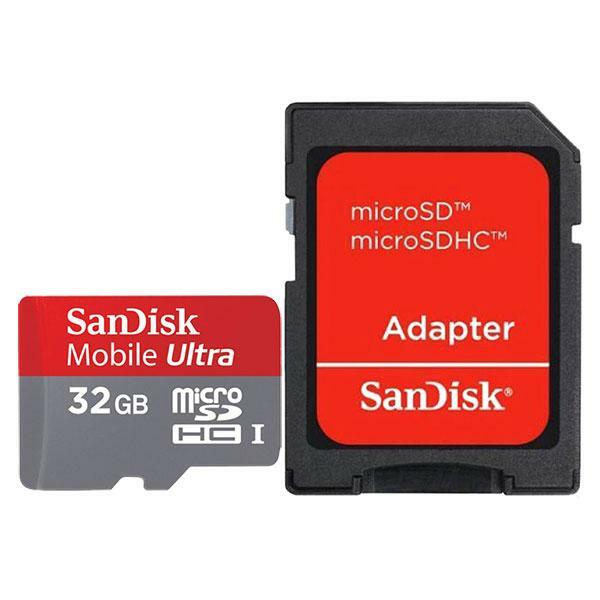 Amplify the performance of your Android powered and other smartphone or tablet with the SanDisk Ultra microSDHC or microSDXC UHS-I Memory Card. The perfect choice for smartphone enthusiasts and tablet users giving you faster app loading, smoother Full HD video recording, and advanced photo capture. Available in capacities up to 64GB, it gives you more space for your favorite mobile media.